Did you know that Miami is home to 4,000 homeless students? As farfetched as this may sound homelessness in the US has reached an all time high with more than 1.2 million homeless students and nearly 76,000 are living on their own without their parents. The purpose of this portal is to raise a voice and our collective social conscience so we can help alleviate the plight of homeless students. Our ultimate goal with this portal is to provide homeless students with free tools and resources so they can succeed in finishing school. These kids need our help so they can have a fighting chance. How can they find us? It’s easy all they have to do is type the words #Help4HomelessStudents and they will find our post. 1. A place to call home: For help across the nation call the National Runaway Safeline at 800-786-2929. For a list of homes across the nation at the Covenant House please click here. The homeless helpline in Miami, Florida is 877-994-4357. The agents on call can assist with finding a case manager, help locate a shelter and also provide help with addiction problems. If you are a foster teen and have aged out, you can contact Casa Valentina or Emmaus House or call 305-444-0740 or email info@casavalentina.org. Casa Valentina is a home for females and Emmaus is for males. For help locating housing in other states please visit Campus Evolution Villages. 2. 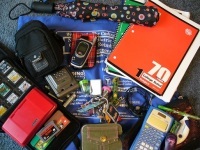 Need school supplies and/or personal items? If you are an active student enrolled in Miami-Dade County Public Schools you should contact 305-995-7558 to schedule an appointment to visit the Up-Start Store. If you are attending FIU you can contact Fostering Panther Pride by clicking here. Need clothes for interviews or proms, contact Dress for Success. 3. Higher Education Hotline: NAEHCY Higher Education Helpline 855-446-2673 or email highered@naehcy.org. 4. For assistance in navigating through college admissions click here for the Khan Academy college resource tool. 6. Resources for free meds and checkups . 7. For help securing jobs click here. Lastly, if you are a homeless youth, the Miami Dade Homeless Trust and the Miami Coalition for the homeless want to hear from you. Please help them help you by filling out this online survey by clicking here. Please check back soon as this homeless resource portal will be continually updated.